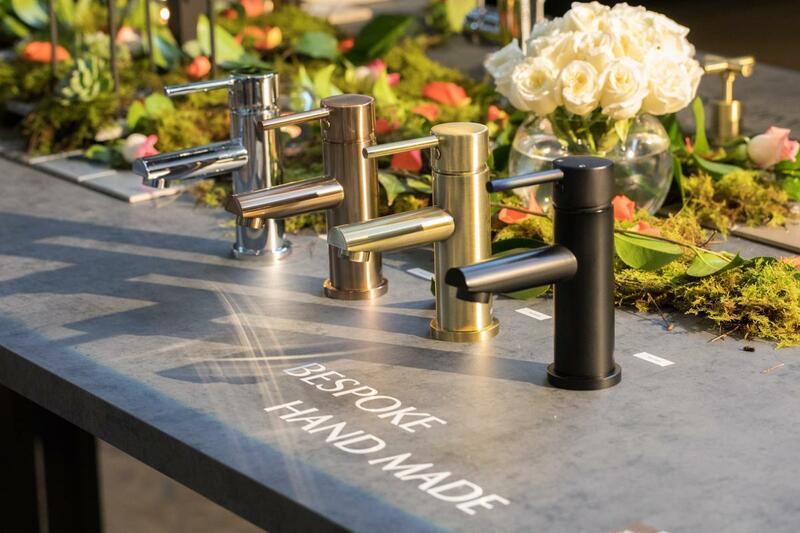 If you’ve ever dreamed of giving your bathroom a new look with gleaming new tapware, you need to take a look at the selection of Meir tapware/ available at Mimicocò. We offer a selection of Meir tapware online in their signature champagne finish that will grace any bathroom from Adelaide to Melbourne. All of our Meir products are available for delivery Australia wide, and we’ll even transport your new tapware for free if your order is over $150. As a supplier of high-quality tapware and bathroom accessories, Mimicocò is proud to offer tapware by Meir to our customers. A fellow Australian company, Meir design and manufacture premium architectural tapware in high quality materials. All of their tapware has been designed with the assistance of leading architects from Australia, with the emphasis placed on modern and contemporary design and clean lines. Each piece that they create has a durable Electroplated matte finish and comes with a 15-year warranty for extra piece of mind. Meir’s signature champagne finish is ideal for creating sophisticated bathrooms. A subtle combination of chrome and rose-gold, this colourway provides a deluxe touch to any new or renovated bathroom, cloakroom or shower room. It’s the perfect choice when want to add metallic elements into the room but you don’t want bright gold fittings. There’s a Meir tap for everyone: whether you prefer the sleek lines of a classic basin mixer, a basin mixer with an elegantly curved spout or a traditional round basin mixer, you’ll find that Meir mixer taps are perfectly designed for your morning or evening ablutions. Or how about a simple round wall mixer? Incorporating a 100% genuine European WaterMark Ceramic cartridge and washerless technology, you’ll not only never have to change a washer again, but you’ll get a 15-year cartridge replacement guarantee as standard into the bargain. It’s not just your bathroom that can benefit from Meir tapware. Their range includes a variety of taps that are ideal for use in your kitchen too. Take for example the round champagne kitchen mixer which was featured on Rebecca Judd’s ‘The Style School’. This stylish but functional tap boasts a solid brass construction and is easy to use whether you choose to install it with the handle facing the front or to the side. The round champagne kitchen mixer 02 is sleek, stylish and perfect for any contemporary kitchen. This single-lever mixer ensures accurate flow control and the swivel rotation makes it extremely versatile. Investing in beautiful tapware from Meir will not only make your life a little more glamorous, but it will make it easier too. All Meir taps make accurate water flow and temperature control as easy as just turning the tap on. However, our range of Meir tapware doesn’t just stop at taps – we offer a variety of bathroom accessories, such as towel rails, toilet rolls holders, robe hooks, bath fillers, shower heads, and shower rails too. They’re all designed to bring a touch of champagne luxury to your bathroom. But it’s perhaps the little details that make Meir tapware stand out from the rest – touches such as matching pop-up wastes, shower floor grates and bottle traps in their signature champagne colourway ensure that your bathroom fittings are fully coordinated. It’s another good reason Meir tapware is such an excellent investment for any new bathroom or bathroom renovation.